Welcome to JST Singapore Office homepage! 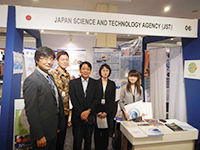 Since its establishment in 2009, JST Singapore Office has supported research programs which foster and strengthen scientific ties between Japan and the countries in the region to address those problems mainly through joint research activities including enhancement of research capacity and human resource development, etc., for achieving mutual benefit and co-prosperity. 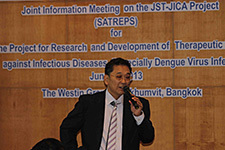 "SATREPS" (Science and Technology Research Partnership for Sustainable Development) promotes international joint research with developing countries targeting globally common issues which cannot be resolved by any one country alone, through funding support from JST to researchers in Japan and from JICA (Japan International Cooperation Agency) to researchers in the counterpart developing country. 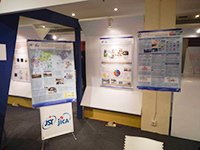 As of 2012, about half of its approximately 70 on-going projects comprise collaboration with researchers in Asian countries. Furthermore, a new international cooperative scheme in this region called "e-ASIA JRP" (e-ASIA Joint Research Program) was initiated in June of 2012. This program pursues state-of-the-art technologies as well as solutions to regional common issues to realize an innovative and robust economy and society in the region, through research activities by research consortia supported by multilateral matching funds on an equal-footing basis from among member countries. Singapore began its modern growth as a trading center within an expanding and changing global economy in the early 19th century. Now, in the 21st century, as large-scale global change is once again occurring, Singapore is the best place to accomplish our mission as it is one of the most active operating centers of global or regional science, technology and innovation, taking advantage of its geopolitical and institutional merits. We at the JST Singapore Representative Office will continue to strive to contribute to the development of science, technology and innovation in both Japan and the region as a whole to realize a more innovative and sustainable future from this crossroad of global activities. Walking through the Kobe International Exhibition Hall on the 10th and 11th of August it was hard not to be excited. Because surrounding me was booth after booth filled with the young minds of the annual Super Science High School Fair (SSH). And on those two days, it was as if there was nothing more infectious than the enthusiasm of young minds. 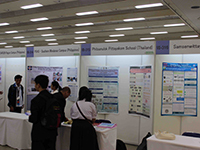 The fair, put together by MEXT (Ministry of Education, Culture, Sports, Science and Technology) and supported by JST, is an annual gathering of high school science departments from all over Japan and around the world including participants from China, Germany, Thailand, Singapore, Taiwan, Philippines, USA, Malaysia, South Korea and India. 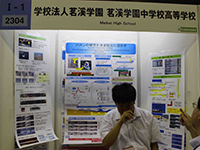 In particular, as I pondered this serious case of enthusiasm, I found myself drawn to the Meikei High School booth, where I found a young man eager to show off his research into the self-reinforcing solitary wave known as the Soliton. Inspired by his memories of the horrifying power of the Tsunami following the 2011 Tokoku Earthquake, what he presented to me was research he had been working on since he had been in primary school. The Soliton wave, he told me, is so destructive because it self-propagates at a constant velocity, growing larger and larger until it becomes the devastating force he watched on television wiping out everything in its path. But if he could discover the way it forms, he said, perhaps too he could discover a way of stopping it. And in a poster his younger brother had helped him design, he outlined an underwater mesh device made of concrete which he theorised might be employed to disperse the Soliton wave’s energy before it reached its most devastating heights. Of course, there were also so many questions unanswered. How much would it cost? How practical is it? How could such a thing even be constructed? But I also had to conclude that those questions are not for a fair like this. 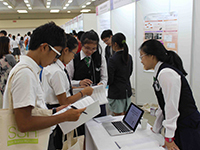 Instead, the Super Science High School Fair is for nurturing the most important resource of science – the enthusiasm and curiosity of young minds. 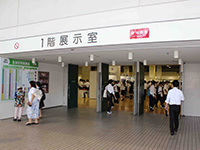 All around the exhibition halls in Kobe there were many more examples of that enthusiasm found at the Meikei High School booth. In all there were over 5000 students from some 202 schools from all over Japan, plus invitees from 10 other countries/region as well. 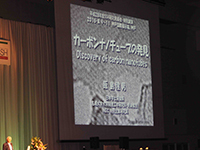 And in the opening ceremony, famed Japanese scientist Dr. Sumio IIJIMA (Tenured professor, Graduate School of Science and Technology, Meijo University) shared his memories of his own youthful enthusiasm which drove him, against the odds, to discovering the carbon nanotube. 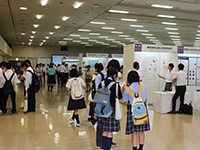 Following the opening ceremony the first floor, which was dedicated to Maths and Physics, and the second floor given over to Chemistry and Biology were soon flooded with members of the public as each high school booth presented their research projects to the visitors. And it soon became apparent to me that the presentations were mostly so interesting because most of the themes on show were driven purely from curiosity. 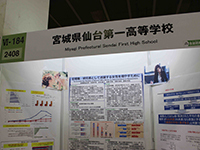 One research project done by the Miyagi Prefectural Sendai First High School caught my eye with their research titled: “To increase the number of women who work as administrators or researchers”. While the research topic was more about social science rather than pure science, it still showed clearly how scientific methods can shed light on important issues in Japanese society. The fair also highlighted 6 projects selected by judges from which one was awarded the “Ministry of MEXT Award”, while two others were given the “JST Award”. - In order to improve the design of micro wind turbines, various blade designs were tested. Especially, a blade shape based on a bird’s winglet was examined. It was determined that the bird’s wing design generated about twice as much power as a blade with no winglet. - The Japanese cedar called “Sambu-sugi” in Sanmu city has been facing severe problems caused by an illness which kills the trees. Investigating ways the wood can be used after the death of the trees, the students attempted to dye clothes pink by using wood chips of Sambu-sugi. Secondly, the students made methane gas from the wood chips by Phrolisis technology. - Investigating the difference between sulfuric acid and diluted sulfuric acid, the students reviewed the properties of sulfuric acid to distinguish the differences. Testing their five properties, they determined the borderline between them as 13 mol/L. - Conducting a series of experiments to confirm if a Planarian’s memory could survive through the regeneration of a new head, the students’ results did not fully support the hypothesis, but proved nonetheless that both initial learning and regeneration have an influence on the repeated learning process. - Since the 1970’s, feeding yeast with petroleum hasn’t spread in Japan due to the hazards associated with petroleum. The purpose of this study was to make feed by using waste oils and oil-degrading micro-organisms. In this study, the students isolated two types of micro-organisms with an oil-degrading ability. - When you throw an X-gyro with a spin, it flies at a long distance. The students working on this research project hypothesized this could be improved through two factors – Wind Lens and Dimples. Through their experiments, the students succeeded in decreasing air resistance. Furthermore, they succeeded in inventing a new kind of wind turbine generator. Albert-Schweitzer-Gymnasium, Erfurt (Germany), Huayang High School (China), Zhengzhou Foreign Language High School (China), Zhengzhou No.11 High School (China), Georg-Cantor-Gymnasium, Halle (Germany), Marion-Donhoff-Gymnasium, Nienburg (Germany), Soongeui Girls’ High School (Korea), Suji High School (Korea), Bishop Cotton Boys’ School (India), BLUEBELLS school International (India), HIDAYAH ISLAMIC SCONDARY SCHOOL (Malaysia), St. Mary’s School (India), PSHS-Ilocos Region Campus (Philippines), PSHS-SOCCKSARGEEN Region Campus (Philippines), PSHS-Southern Mindanao Campus (Philippines), PSHS-Central Mindanao Campus (Philippines), PSHS-Cordillera Region Campus (Philippines), PSHS-Western Visayas Campus (Philippines),Phitsanulok Pittayakom School (Thailand), Samsenwittayalai School (Thailand), National Junior College (Singapore), NUS high school of maths and science (Singapore), Raffles Girls’ School (Secondary) (Singapore), Yupparaj Wittayalai School (Thailand) Rockdale Magnet School for Science and Technology (U.S.A),National Chaghua Senior High School (Taiwan) Taipei JingMei Girl’s High School (Taiwan), The Affiliated Industrial Vocational High School of NCUE(Taiwan),National Changhua Senior High School (Taiwan). Japan is cool : Food, Comics, Sightseeing, and Science! 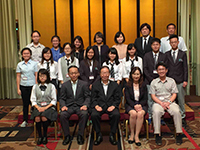 Since we launched the "Japan-Asia Youth Exchange Program in Science" in 2014 (SAKURA Exchange Program in Science), more than 120 talented young Singaporeans have experienced studying in Japan. 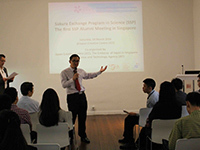 However, it wasn’t until March 19, 2016 that we had the opportunity to get the participants together again for the very first Sakura Science Program Alumni Meeting. The alumni meeting had been planned for some time, specifically because we strongly believed that kind of event would encourage other students to join the program. 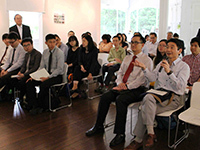 So taking the opportunity of the 50th Anniversary celebrations of Singapore-Japan Diplomatic Relations this year, the Japan Science and Technology Agency (JST) partnered with the Japan Creative Center (JCC), Embassy of Japan, to make the first alumni meeting a reality. While at first we were worried we might not be able to attract enough participants to the meeting, soon we had more than 50 participants including people involved from Dunman High School, River Valley High School as well as Singapore Polytechnic (SP), and their supervisors. After opening remarks by Deputy Chief of Mission, Mr. Naohiro Tsutsumi of the Embassy of Japan, we also welcomed Mr. 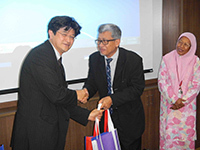 Sin Kim Ho from the Ministry of Education, Singapore and Mr. Minoru Yasui from JST for the introduction of the program. 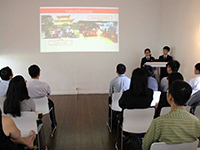 Following speeches by those three, the participants from three schools talked about their wonderful explorations in Japan and we were even treated to a video presentation from the participating SP students. The video, it was explained, had been shot and edited entirely by one student who had finished the entire piece before he left Japan! As part of the program, participants undertake an intensive itinerary – visiting universities, private companies and national institutes such as the National Institute of Advanced Industrial Science and Technology (AIST) and the Japan Agency for Marine-Earth Science and Technology (JAMSTEC). It’s not all work however – participants also have the opportunity to enjoy the food of Japan and sights such as Akihabara, a Mecca for Japanese animation and comic fans. Through their pictures and video clips, it was interesting to see how they observed Japanese culture – which even made me rediscover my own culture! 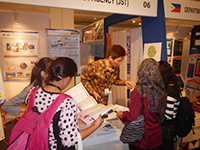 We believe that SSP plays a key role in promoting science and technology in Asian countries. And we also believe that such programs also provide Japanese youths with greater opportunities to encounter different cultures as well. 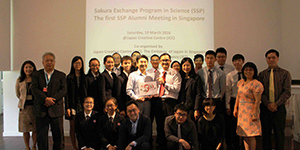 The first Sakura Science Program Alumni Meeting was a groundbreaking event which we hope will expand along with the SSP program in the years to come. And with that growth, we hope we will continue to build firm bridges between Asian and Japanese youths who hopefully will work together for a brighter future by developing new science and technology fields. Landslides are the most destructive natural force in Vietnam, according to a survey conducted by the Ministry of Natural Resources and the Environment (MONRE) on flash flood zoning and landslide mapping in the country’s mountainous provinces. The nation stretches across the east-coastal region of the Indo-China peninsula where Typhoons often hit directly resulting in further natural disasters such as massive landslides. Moreover, major inter-state highways which run from Hanoi in the North of the nation down to Ho Chi Min City in the south are frequently shut down by landslides. The nation’s railways too, which serve as arteries of transportation for people and goods, are also heavily affected by landslides. Therefore, prediction of landslides has the potential to save vast assets the nation stands to lose in the wake of these disasters. Several men have stood up to tackle those odds. A joint research team led by Dr. Kyoji SASSA of the International Consortium on Landslides (ICL) and Dr. Nguyen Xuan Khang, Director General of the Institute of Transport Science and Technology (ITST) is studying the mechanism of landslides and trying to find a way to reduce the damage caused by landslide disasters through monitoring and building an early warning system. The joint research team is now working on a project called "Development of Landslide Risk Assessment Technology along Transport Arteries in Viet Nam" supported by JST and JICA. I've known of this project for some time, but this was the first time to meet them and their team members, and the first time to join their field trips. Intuitively, I thought the way landslides happen would be similar to that of avalanches: too much pressure at the top tiers due to extra accumulation of mud would trigger the slide; but I wondered how this could be predicted. On the first day of our field trip, we went to a site where many boring samples were collected and organized in different wooden sample boxes based on their depth. My first impression when I saw them was that they were just muddy and stony cylinders displayed in the boxes. "When the color of a cylinder changes, that is the active surface of landslide", said Dr. Shinro ABE. Dr. ABE is a Geological-civil engineer working for OKUYAMA BORING Co., LTD.
At first the team chooses mountainous spots where they suspect geographical features might lead to landslides. Then, they bore to get some samples from deep in the ground. I was told that sedimentary rocks get weathered from the top by water. Then weathering phenomena progress and it goes down deeper. So, the soil has three tiers: surface, clay, and stone. "The clay tier is the tricky one, usually that becomes a critical point where landslides are triggered", said Dr. Hiroshi FUKUOKA, vice president of the Research Institute for Natural Hazards & Disaster Recovery at Nigata University. Dr. ABE said, "Boring requires a highly special skill to dig a straight and deep hole." He continued to explain how they used the collected samples: those samples are taken back to the lab where they are put into a very special and unique machine called a "high-stress landslide ring-shear simulator.” It is a very unique custom-made machine and measures how much pressure the soil sample can endure. It can simulate pressures of environments one hundred meters deep. 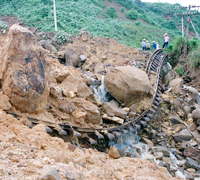 For example, Hai Vain train station located near Da Nang, faces a high potential risk of landslide. In that area, landslides have occurred before, so they will likely happen again but nobody knows exactly when. "If a landslide happens in this area, it would cause massive destruction", said Dr. Sassa. I asked him if we could predict and prevent such destruction. He said that there is "nothing we could do about a landslide of this size, but an early warning system could save peoples’ lives at least." This SATREPS project launched in 2011. Since then, they have been trying to develop the landslide risk assessment technology. Also, they are working on making a wide regional landslide hazard map, and accompanying guidelines. They are currently extending their land slide research network throughout the mountainous areas of the Greater Mekon Subregion. Vietnam is planning to construct a high-speed train as a part of its national plan. It is critical that they identify potential landslide areas before building the railways. The Vietnamese government is therefore effectively now hanging all its hopes on this project. Nanyang Technological University (NTU) in Singapore now calls for opening positions. For every year, NTU’s program “the Elite Nanyang Assistant Professors (NAP)” has invited outstanding talents from all over the world. In the past, there were three Japanese researchers were selected and they have been energetically working in their research fields. “NTU gives chance for even young researchers to set up their own labs and help them to organize their own research teams,” said Dr. Hirotaka SATO who won the grant in 2011. Dr. SATO received one million SD as the research grant from NTU through the program. With the grant, a new large experimental room (16m x 10m x 4 m) was built and his research team has used the building for his experiment in which he tracks flying cyborg-insects. Dr. SATO is really satisfied with NTU’s offer. “Many senior professors and school staff have supported. They gave me helpful advice such as how to handle the lab, or how to give lectures and tutorials. So I didn’t feel I was foreigner or inexperienced in the lab operation”, said Dr. SATO. His focus is not only his own research: he believes educating young talents is also his task. He is enthusiastically supporting both undergraduates and graduates. Dr. SATO researches cybernetics by using beetles. He is currently studying how to regulate the locomotion of the beetle by using wireless communication and chips. You can visit the following URL for further information. Another Japanese assistant professor, Dr. Rei KINJO, also got this position at NTU in 2011. He is interested in the development of novel molecules containing p-block elements (especially boron, carbon, silicon and phosphorus) , and design and synthesis of compounds featuring significantly unique bonds and structures. In practice, those compounds can be used for building blocks and ligands for transition metal complexes. He expressed his excitement for his position. According to Dr. KINJO, the division (Chemistry and Biological Chemistry ) where he belongs to has 11 NAP holders. These assistant profs. have different scientific backgrounds. “This diversification demonstrates that NAP establishes the center for research excellence attracting further high level researchers from all over the world”, said Dr. KINJO. He also pointed, “If you want to work on your original projects in Singapore, NAP is one of the best choices and it’s worth trying for that.” You can visit the following URL for further information. There is one thing for sure for both professors no matter their goal and interest are different: never give up and try to achieve something with passion. For the detail of the scholarship, visit the following link. According to Dr. Yasutake YANAGIHARA, if you ask a taxi driver in Manila what Leptospirosis is, there would be a good chance that he knows (even if the taxi driver in Manila doesn’t know the destination you’ve asked him to take you). That’s how well-known the disease’s name is in the Philippines. In brief, “Leptospirosis” is a zoonotic infectious disease with a worldwide distribution in tropical and subtropical regions, causing multiple organ failures ? including jaundice, renal failure and pulmonary hemorrhage in humans. Rats are considered its main vectors, although other infected animals such as dogs, cows, carabaos and pigs could excrete the bacteria through their urine and contaminate the environment. Usually, the disease breaks out in regions where hygiene or sanitation is bad. Which is why Dr. YANAGIHARA instigated a research project into the disease which has recently concluded its first five-year term in the Philippines. 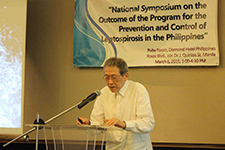 The project, titled “Prevention and Control of Leptospirosis in the Philippines”, otherwise known as LepCon, and supported by JST and JICA under the SATREPS banner (Science and Technology Research Partnership for Sustainable Development), was led by Dr. Nina GLORIANI of the University of Philippines Manila and Dr. Shinichi YOSHIDA of Kyushu University, Japan. However, despite finishing its five-year term in 2015, the importance of the battle against Leptospirosis cannot be understated, and therefore the research team has been asked to continue its fight against the disease. 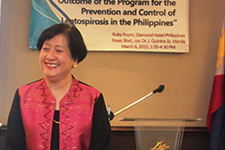 And so it was with that in mind that I had the opportunity to sit down with the project leader of LepCon, Dr. Nina GLORIANI, in March 2015 at the “National Symposium on the Outcome of the Program for the Control and Prevention of Leptospirosis in the Philippines”, to hear about the work she has been doing with Dr. YOSHIDA under the guidance of Dr. YANAGIHARA. 1. How did you get involved in LepCon project? I have been working with Dr. Yasutake YANAGIHARA since 1998 when he first came to UP Manila on a JST grant for Leptospirosis research in the Philippines. Through this JST grant, we were able to establish a small laboratory capable of confirming diagnosis of Leptospirosis. This grant was for three years, and ended in 2001. 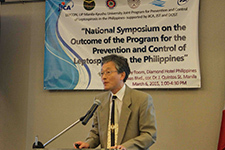 Another opportunity came in 2006-2009 when Dr. Shinichi YOSHIDA at Kyushu Universtiy, again through YANAGIHARA Sensei (meaning Dr.), brought a small MEXT grant to continue small projects on Leptospirosis in the Philippines. 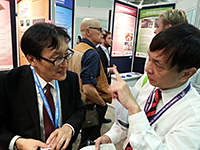 Together with YOSHIDA Sensei, YANAGIHARA Sensei, and MASUZAWA Sensei, a five-year program proposal for the Prevention and Control of Leptospirosis in collaboration with Kyushu University and the Chiba Institute of Science was submitted to JICA which was subsequently approved for implementation in 2010 as a SATREPS project ? otherwise known as “LepCon”. My involvement in the LepCon project, I would attribute to my field of specialization which is Medical Microbiology and Microbial Immunology and my long term collaboration with YANAGIHARA Sensei. It also coincided with my term as Dean of the College of Public Health, which allowed me to provide overall supervision as well as technical expertise from the local side. 2. What was the scope of your research before you joined the project? Before the LepCon project started in 2010, prevalence studies on Leptospirosis were conducted on a small scale that included human referrals from a few hospitals, testing animals and isolating the Leptospira from environmental soil/water samples. 3. With whom did you discuss the submission of the proposal? The proposal was the product of several discussions with the three professors, with input from other Japanese scientists as well. From the Philippine side, I contributed most of the input, with consultative meetings with key faculty who could potentially get involved. We also considered the laboratory capabilities then at the department of medical microbiology where the project was planned to be based. 4. Could you tell us the condition of Leptospirosis in Philippines before the project was launched? Before the LepCon project was launched, laboratory confirmation of suspect Leptospirosis cases was primarily done by the Research Institute for Tropical Medicine (RITM), the referral center of the Department of Health for emerging and re-emerging infectious diseases. However, most of the cases reported from various regions were only clinically diagnosed, as RITM also had its limitations in conducting laboratory confirmatory tests, especially during surge of cases following typhoons and floodings. 5. What was a big issue about an epidemic when the project began? The LepCon project began officially in April 2010. In September 2009, a big typhoon named Ondoy (otherwise known as Ketsana) hit the Philippines and submerged many parts of Metro Manila and suburbs in deep flood up to three stories high, causing big outbreaks of Leptospirosis in many areas affected. Such occurrences further highlighted the need to put in place a program that will address the prevention and control of Leptospirosis on a wider scale, and in a more pro-active manner. 6. After the project started, what was the challenge you faced? The initial challenge we faced was to establish a network with government agencies. In particular, to establish a system for referring suspect Leptospirosis cases to our laboratory. Collaboration with DOH sentinel sites was slow at first, but later on improved, with the help of National Epidemiology Center (NEC) Director, Dr. Eric Tayag, and the officials of the Local Government Units (LGUs). During project implementation, we also faced problems with some lengthy administrative policies in academe and government but these were eventually successfully resolved. 7. In addition to the project’s goals, what kind of achievement did you get? Aside from the goals and objectives that we set and for which we have accomplished much, the greatest achievement by far is that we were able to bring down to the community level, the research processes and results, for the benefit of the Filipino people. The relationship between UP Manila as an academic institution and various levels of governance in health, science and technology has also been improved. Technical cooperation with the Japanese scientists was excellent and the interaction fostered good professional and personal relations which are all critical to any successful project outcome. The capacity-building component of the LepCon program in terms of human resource development was one of the best things that happened. Our faculty and staff, including students, were trained in new, advanced techniques both in Japan (counterpart training) and in the renovated LepCon laboratory in the college. More students are now able to use the laboratory facilities for their special studies, research subjects, thesis and dissertations. The program implementation itself was a test of perseverance, understanding, negotiation skills and many other learnings about interpersonal interactions, flexibility and openness to all possibilities and opportunities for growth and expansion beyond the initial plans. We met other experts, stakeholders, and in the process, opened up a lot of opportunities and possibilities for our faculty and staff, our students, and our partners at the grassroots level. 8. What do you think about SATREPS, the program itself? SATREPS is a great program by itself, catering to the needs of underdeveloped countries to enhance their capabilities in various areas, through Japanese and recipient country-counterpart cooperation. It is based on mutual understanding, respect and desire to improve lives and health of communities. 9. What is the most memorable part of this five-year project for you? The entire program development from proposal preparation to defending it in Tokyo JICA HQs, to its implementation, monitoring progress, meeting timelines and deliverables, including mid-term and up to terminal evaluation has been a great experience I will never forget. Each step of the way had its own challenges, and surmounting the difficulties was reward by itself. 10. What is the next step? We have laid out sustainability plans to continue the project beyond JICA and JST-SATREPS support. Two big DOST-PCHRD projects will continue on to 2016. The DOH-NEC also has been requested to provide support to LepCon for continued human leptospirosis surveillance through the Philippine Integrated Disease Surveillance and Response (PIDSR). We also have plans to submit additional project proposals for human, animal and environmental surveillance for this neglected disease, but also will consider branching out to other pathogens. Some initial discussions with other potential partners, also from Japan, the UK and from the USA have been made. 11. What is the reaction of Philippine government towards the project and its outcome so far? At this point in time, and perhaps for the last two-to-three years, the agencies we worked with appreciated the service we were doing for the laboratory diagnosis of Leptospirosis cases. The DOH-NEC slowly accepted the assistance we offered them which help confirm Leptospirosis cases, contributing to more evidence-based statistics.The Department of Science and Technology ? Philippine Council for Health Research and Development (DOST-PCHRD), also recognized the value of what we were doing in terms of research and extension services to the community. Through this project, I observed the strong bond among researchers beyond nations and cultures. I believe that achievement was made because of their mutual scope: making people’s lives better. 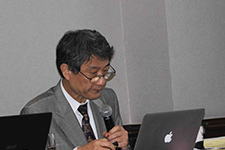 Dr. YOSHIDA retired from the university as he completed the 5-year LepCon. When I met him at the conference, he showed his continuous motivation towards the eradication of the disease. At the last, he added “This would not have been done without the long-term dedication of Dr. YANAGIHARA to the research, and I would simply like to support his dream that the disease can be eradicated.” Their efforts will continue. There are many diseases still roaming without certain cure in the Third-world where living environments are being devastated. Most of them are being neglected by advanced medical technology and services which people in the First-world countries have access to. And that’s why diseases like Leptospirosis are called “Neglected Tropical Diseases (NTDs).” And even at this moment researchers are fighting against them all over the planet. Can our future rely on palm wastes? After we crossed the border from Singapore and into Malaysia, we kept driving for more than an hour. The landscape here was changed and different from the city “Johor Bahru” which we passed on the way. Palm tree plantations were all over the place. Only one interstate road stretched out into the middle of a palm tree jungle and nothing more. As if it continued forever. We were heading to a mill where a team of Japanese researchers had built up a pilot test plant for a new type of energy called “biocokes”. Dr. Tamio, Ida from Kinki University invented a new way to make powerful cokes out of biomass wastes such as leftover vegetables, natural plants and plant fibers. His research started as a project in 2007, in Hokkaido, Japan. He set up a small pilot plant there and it successfully produced the first “biocokes” which could be used for a slug furnace or burn wastes. Later he expanded his research and improved the original plant. He remarked that one of the biggest issues emerging in Asia was theoverflow of garbage. He deeply considered how he could reduce the environmental impact caused by the by-products of rapid economic growth in the region. So he talked to a Japanese gas company called Osaka gas engineering Co. , LTD. who agreed to work with him. Their next step was where to start. Osaka gas had already setup a regional office in Singapore so they tried to talk to the Singaporean government. Unfortunately their negotiation did not work out well. That is the first time when they knocked on our door. Back then, they were looking for extra funding to build a small scale plant. 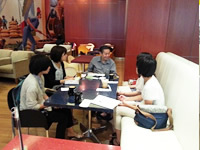 After hearing their ideas, our regional director, Mr. Osamu KOBAYASHI suggested one of our new programs beginning that year. NexTEP is one of the programs that JST provides to support collaboration between universities and companies. Later the researchers applied to the program and were successfully accepted. In March 2015, we received an email from Dr. Ida in Malaysia. In his message, he said that they finally settled the plant site and were ready to operate to produce biocokes. Now we would see their efforts as a reality. According to Dr. Ida, they already took orders from a Japanese company and were ready to ship out the first biocokes made of EFB, empty fruit bunch. 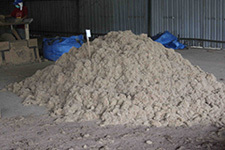 EFB is a fiber-like waste made after the rich oil in palm seeds is extracted. So far this waste has only been used for boilers to generate power on site. 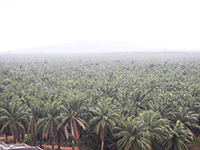 They obtain EFB from neighbour plantations. “There were more challenges”, Dr. Ida said. He pointed out that the most critical part of the process was to control inner moisture. After EFB is ground to be nearly powder, it is conveyed into the compress machine to make biocokes. However, the air is so damp that the powders easily pick up moisture which makes the process ineffective. To solve this problem, Dr. Ida introduced a heater where the ERP is kept until it’s used. However, he had to recalculate the cost of power consumption. So he repeatedly measured how much power was being used by a heater. 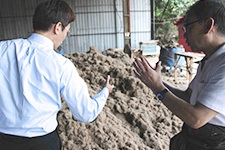 I have seen many of biomass projects being operated in the S.E Asia region. But, in fact, most of them still need more time to take off in a practical manner. On the other hand, Dr. Ida’s project seems different since the project has been backed up by a Japanese energy company and a trading company. They will begin mass production from this month: producing 1.2 ? 2 tons per day. However, his dream still continues. Now he is improving production quality for use in power stations. Biocokes might someday change the energy landscape of this region. March 16, 2015 - On the table, there were four cuddly baby seals sleeping. But neither they were real ones nor stuffed ones: They were actually robots. 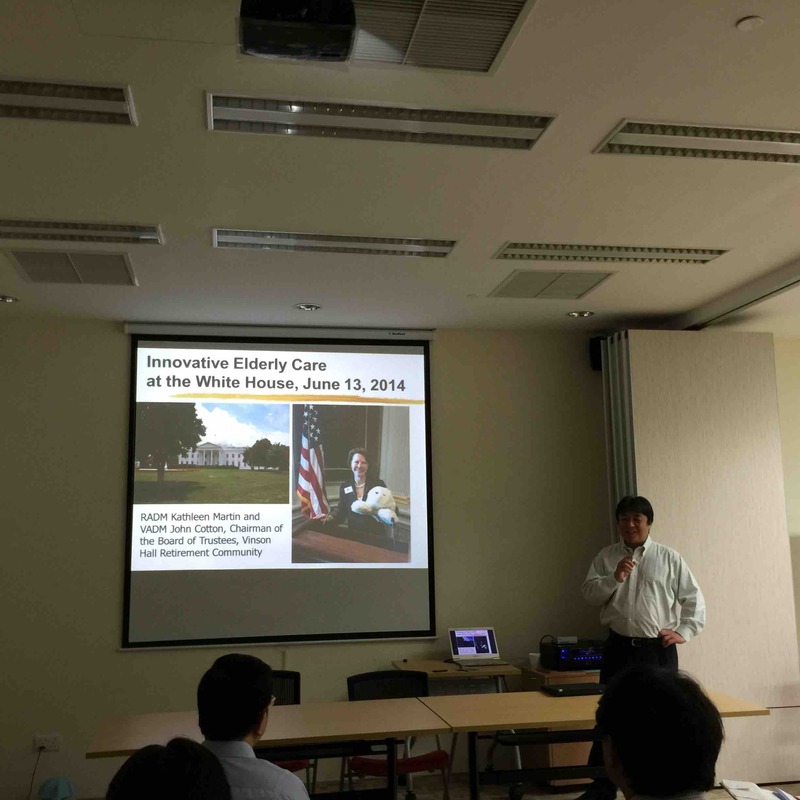 Dr. Takenori, SHIBATA had a introductory presentation of his invention called “PARO” at ADA (Alzheimer’s Disease Association) Resources and Training Centre in Singapore. Then he displayed four baby seals on the table. 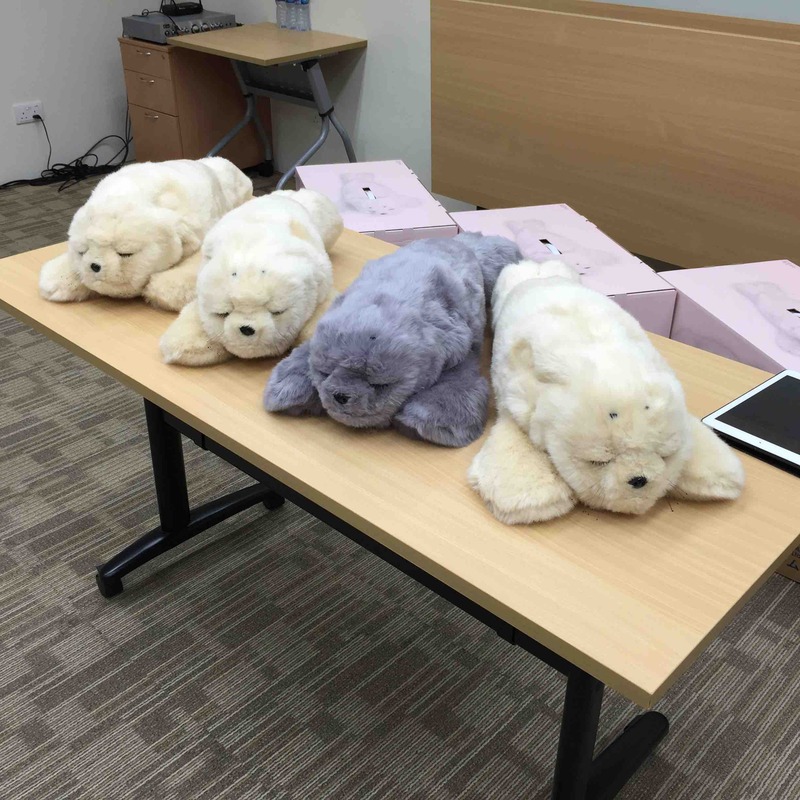 These fluffy baby seal robots were recently introduced into Singapore for helping elderly dementia patients. 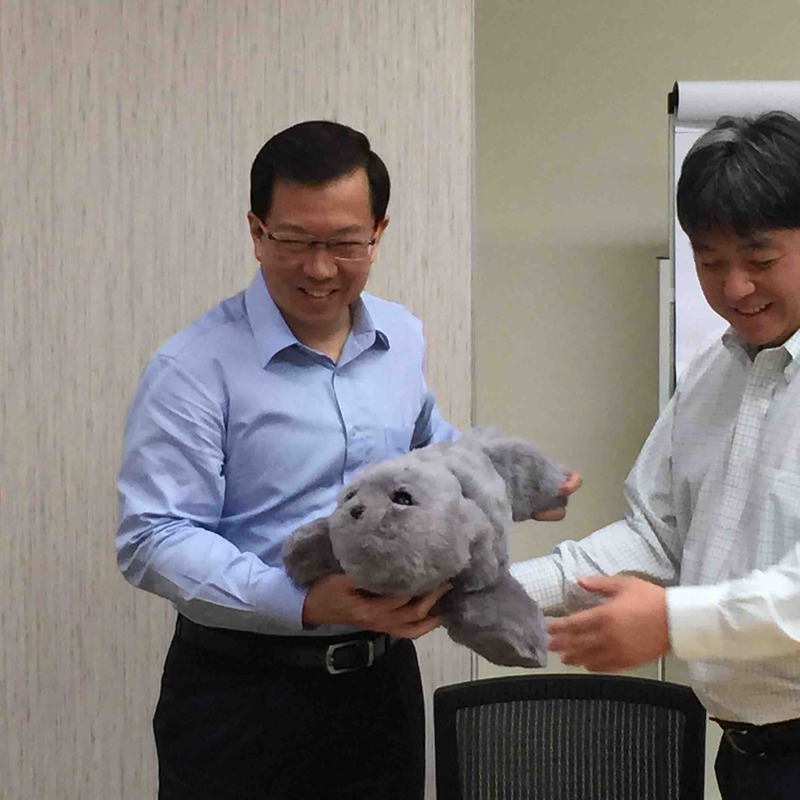 Agency for Integrated Care (AIC) under Singapore Ministry of Health and Japan National Institute of Advanced Industrial Science and Technology (AIST) collaborated to conduct final evaluation test of PARO at ADA’s center. Singapore government fully supported the project in terms of finance. 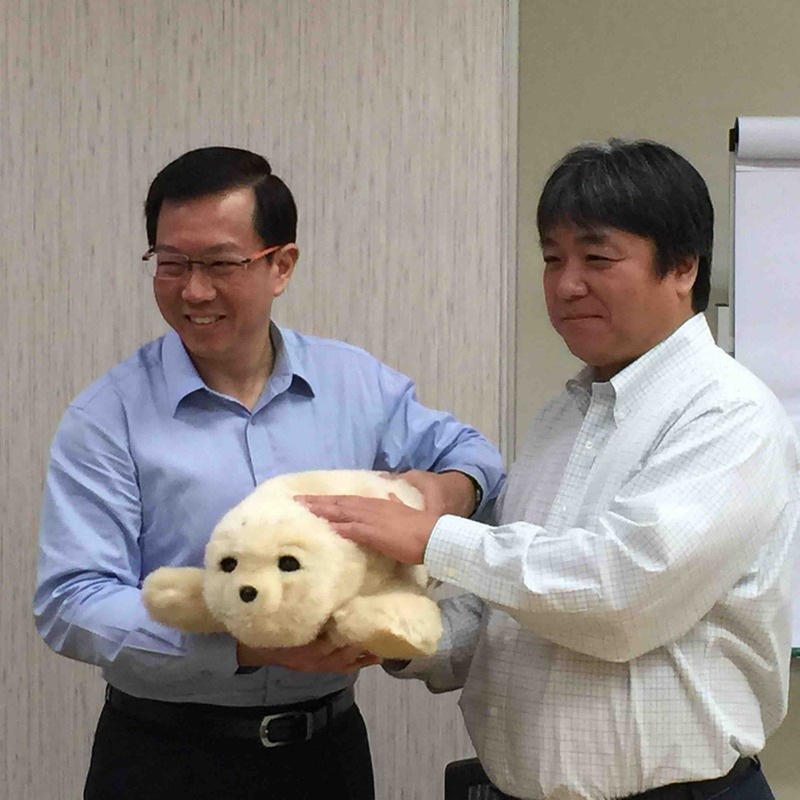 According to Dr. Shibata, this was the first time any national government in overseas fully supported to purchase PARO. In the past, municipal government units in Denmark did the same thing. In fact, 70% of municipal governments already introduced PAROs in Denmark. Currently ADA has 6 seals and distributed them to its four day-service centres for elderly dementia and Alzheimer patients. During demo, he explained that each individual learns by itself along with surrounding environment and will develop different characteristics in a couple of month. Also, it applies to multilingual depending on areas it’s being sold. For example, in some European areas, PARO can recognize 5 languages. In his speech, I was intrigued by the research conducted in New Zealand. Researchers did an experiment with control: a residential dog. It turned out patients showed more drastic change in their emotional status when they were with PARO. PARO is still very expensive for a personal use: it’s about 7000 USD. But it might become affordable among the old when it gets abundant. On 12th of January 2015, JST-A*STAR Joint Workshop “Development of Fundamental Technology for Biodevices Enabling Dynamic Analysis and Control of Cells” was held in Exploration Theatrette, Matrix Level 4 at the Biopolis before the launch of the third joint grant call by both parties. 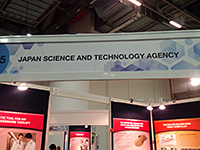 It was held based on the Memorandum of Cooperation (MOC) between Japan Science and Technology Agency (JST) and the Agency for Science, Technology and Research (A*STAR) concluded in October 2014. In the beginning of this WS, A/Prof Dr Tan Sze Wee (Deputy Executive Director of the Biomedical Research Council) and Dr Shoichiro Tonomura (Executive Director of JST) made the welcome speeches followed by keynote speeches by Prof Jackie Ying (Institute of Bioengineering and Nanotechnology, A*STAR) and Prof Shin’ichi Ishiwata (Waseda University/WABIOS) . Then distinguished researchers from both countries made presentations of the updated outcomes from their researches. In this WS, the participants discussed their most updated research outcomes and possible collaboration in 3 sessions ((1) Nanodevices for Cell Systems,(2) Biomaterials and Biocompatibility in Biodevices, (3) Reconstitution of Cell Dynamics or Biomolecular Networks In vitro/In silico. On 13th of January 2015, excursion lab tour to the Institute of Bioengineering and Nanotechnology, A*STAR was coordinated for Japanese researchers. National Research Foundation, a Singapore government research funding entity, announced open call for scholarship program for any students who are seeking for PhD degree opportunities. The fund called “the NRF (EWT) PhD Scholarship” is promoted by the Environment & Water Industry Program Office (EWI). This scholarship support candidates for up to four years in the fields of Environmental Science & Engineering, Chemical Engineering, Civil Engineering, Mechanical Engineering, Chemistry, Physics, Biological Sciences and Materials Science or Engineering. Visit EWT’s website to check details. Reminder: you need to talk to any professor separately whom you want to be a supervisor. Dr. Michiharu Nakamura, the President of Japans Science and Technology Agency (JST), visited the Thailand Science Park (TSP) on November 27, 2014. Dr. Nakamura met the President and Executive Vice President of NSTDA, Executive and Deputy Executive Directors of 4 National Centers and also visited the newly-opened e-AISA JRP Secretariat office and some industries at TSP. They discussed how to strengthen the collaboration between Japan and Thailand and also among the countries in the region. This success is an outcome of two projects: the SATREPS project (2009-2013) and the New Energy and Industrial Technology Development Organization (NEDO) FY2012 Innovation Commercialization Venture Support project that MBL was later selected for “Effectiveness Assessment in Animal Studies of Anti-Dengue Hemorrhagic Fever Therapeutic Human Antibody Candidates”, 2013-2014. Dengue is a mosquito-borne disease. In the tropics, there are 50 million new cases of dengue fever, dengue hemorrhagic fever, and other dengue virus infections each year, including 250,000 serious cases. In Japan, a spate of dengue fever infections began in August 2014, with over 140 cases identified by September 25. Research into therapeutic antibodies for dengue infections has led to a number of reports of results, but there is still no effective therapeutic agent or vaccine. People around the world are hoping for the early development of an effective treatment. 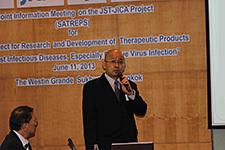 The SATREPS project involved collaboration in Thailand with a research group including researchers from the National Institute of Health and Mahidol University Faculty of Tropical Medicine. As part of this project, peripheral blood mononuclear cells in blood samples taken from acute-phase patients were fused with SPYMEG, a fusion partner cell line newly developed by Medical & Biological Laboratories Co., Ltd. Using this method, the researchers succeeded in producing human monoclonal antibodies with a broad reactivity and neutralization against all serotypes of dengue virus (Den-1 to Den-4). The original plan was to use blood samples from convalescent phase patients, but a switch to acute-phase samples driven by local circumstances unexpectedly produced large numbers of broadly neutralizing antibodies. A provisional patent application for this outcome was filed in the US in 2011, followed by a PCT application in 2012. Analysis of these antibodies has been reported in three academic papers to date, including the paper by Tadahiro Sasaki et al. in Antiviral Research that was an award-winner in the Antiviral Research Awards 2014, demonstrating the level of interest in this research. Evaluation systems for dengue virus using monkeys (rhesus, marmoset) have been reported, but these require very large budgets for conducting tests, so development of an animal model using small animals such as mouse model has been keenly awaited. The SATREPS project succeeded in constructing a mouse model for evaluating dengue virus infections. This is expected to make a large contribution to future research into measures to counter dengue virus infections. The subsequent NEDO-supported project used the dengue virus infection model mouse developed under the SATREPS project, confirming that the effectiveness and safety of tests was similar to that of evaluation tests using marmosets. Dengue infection is categorized as a neglected tropical disease (NTD), so drug development had typically focused on tropical areas. However, the recent increase in infections in Japan has raised hopes for early commercialization as an antibody drug through out-licensing to domestic and international pharmaceutical companies. Secretariat Office of e-ASIAJRP opened at Thailand Science Park! 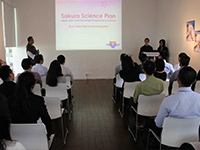 The Opening Ceremony of the e-ASIA Joint Research Program Secretariat Office was held on the 21st of October 2014 at Thailand Science Park. Dr. Thaweesak Koanantakool, the President of National Science and Technology Development Agency (NSTDA) of Thailand, Ms. Kunvara Chotiphansophon, Deputy-Director of Agricultural Research Development Agency (ARDA) of Thailand and Mr. Sotaro Ito, Senior Director of Japan Science and Technology Agency (JST) extended their congratulations and expectations to the Secretariat at the ceremony. There were also many guests and flowers from both Thailand and Japan including the 4 National Centers of NSTDA, Thailand Institute of Scientific and Technological Research (TISTR) and Embassy of Japan in Thailand. As one of the founding Member Organizations of the e-ASIA JRP, JST praises NSTDA for their generosity in offering the office space and for providing a member of staff to the office who will be a great support to the Program Secretariat dispatched by JST. 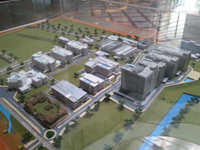 The new Secretariat Office is located at Room 218 of Incubation Cluster 1 Building (INC 1) at Thailand Science Park. LED has been in the market for quite a long time since the first red one was created by Nick Hoolonyak Jr. of the University of Illinois in 1962. But the world had to wait for another 33 years to see blue lights. Dr. Akasaka never stopped at red light. With a government agency, Japan Science and Technology Agency (JST), he created a highly quality single crystal of gallium nitride and shed light on the new frontier of LED development. Later, he worked with Toyota Gosei Corporation to commercialize LED. Meanwhile, Dr. Shuji NAKAMURA worked separately on growing his own crystals at Nichia Corporation and improved former blue LED. Eventually his method led to invent Blue-ray players based on very efficient blue-light laser. It is very important to see science and technology in two aspects: long term and short term goal. When these Noble laureates worked on crystals back then, no one could have imagined that someday people would watch theatre quality Star Trek in their living room. That is a long-term goal which is made by a pile of individual works. On the other hand, you have witnessed the fast-evolving cell phones that they are being called “smart” now. Technology always co-evolves with the society and researchers need to respond to the speed of changing society. That is a short-term goal of science and technology research and development. I believe the story of the three would make you sense what I explained above. Visit the A*STAR webpage for the detail of the announcement. Nanyang Technological University (NTU), one of the top technological universities in the region, announced that "The 2015 Nanyang Assistant Professorship (NAP) Call" has been launched and the deadline for this call is 12 October 2014, 11:59 pm. This NTU program is a great opportunity for young post-docs step up their academic carrier. If a candidate successfully selected, the person can receive up to 1 M SD for start-up research. It’s worth challenging this highly competitive grant since NTU has an international reputation for its facilitation and educational environment. These excellent scholars are currently developing their prestigious research projects at the university. Here is a list of NAP receivers on the website. For further information, visit its website for more details. 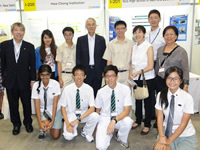 Singapore is now getting well-known as a science and technology driven country. 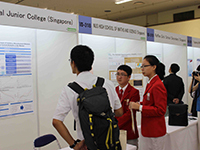 Here is a culmination of its reputation achieved; TECHINNOVATION 2014 held on the 23rd and 24th of September at Marina Bay Sands in Singapore. 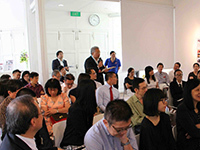 This event was organized by Singaporean government and functioned as a match-making place among investors and inventors. There were research institutes, universities, and private companies all gathered and they promoted their latest innovations. This is a kind of one stop shopping place from opportunities for new collaboration to license agreements for IP. JST also set a booth space to show some technologies available for licensing. There are 9 technologies introduced this time: three for energy and environment, three for health and personal care, and finally three for materials and nanotech. 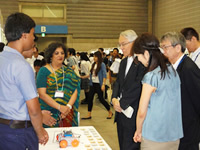 That was a great opportunity for JST to show our effort on creating advanced technology in Japan. Since we participated at the first time last year, we have acknowledged enthusiastic responses from participants to our technologies. In this year, for example, our highlighted item was fertilizer chemical that boost up plant productivity. It was invented by Kaneka, one of the biggest Japanese chemical companies. However, the technology is commercially available to any company. The response from local corporations was very positive. 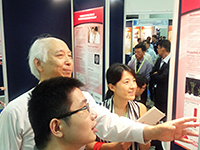 Also, many people stopped at the booth paid attention to anti-aging technology from Kyoto University. This event is going to be a milestone for JST to reach the hottest and huge S.E Asian market. 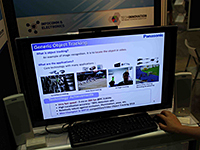 There some Japanese companies also set their own booths: Panasonic demonstrated its prototype of a tracking system. The software keeps on tracking moving persons in a video clip. It was developed at Panasonic’s R&D centre here in Singapore. I asked the person showing the demo that how many people the system could track. According to the person, it will depend on processor’s power. However, its accuracy is far beyond to other competitors’ products, she said. On the other hand, Konica Minolta (actually their booth is next to JST’s) showed a new health checking device. According to the presenter, the small device captures a person’s face and analyses his or her age. Also they showed a technology that detects a trace of handwriting and make JPEG copy. It was very accurate and quick. According to Mr. Yamaguchi from R&D headquarters, the company is looking for some applications to use the technology. Hope they will commercialize the technology for the next generation digital tablet. JST participated to the 9th ASTW（ASEAN Science and Technology Week）that had been held in Bogor, Indonesia from August 18th to 27th. This biggest regional event for S & T was mainly for all delegates from participated countries to discuss the future of S & T development and related issues in the ASEAN region but it also has a variety of programs including an exhibition. Nevertheless to say, a lot people passing by the area and they stop at booths with curiosity. Most of visitors were locals but some professionals who also participated in the conference as well. In fact, we had seen a lot of people who were very eager to go to Japan. 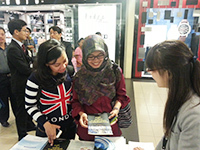 We felt there were still many Indonesian people intimating with Japanese culture. Hopefully we provide more opportunities those Japan fans to get to there. 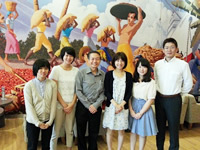 The Global Office of the Tokyo University of Marine Science and Technology (TUMSAT) has implemented the “Global Human Resource Development Program” to encourage her adventurous students to experience a month-long life in foreign countries exclusively in Asia since 2012. JST Singapore office accepted 4 students as interns from Aug18 to Aug 22 for the first time of their 3rd dispatch. The theme of study given to them was “Women in Science in Singapore” where almost 30% of active researchers are women, to compare its circumstances to Japan where about 15% are so. Through interviews with various stakeholders in Singapore, they reached to one conclusion that we have to change our mindset, which has been built by cultures and traditions for long years, to fundamentally improve the current situations in Japan. 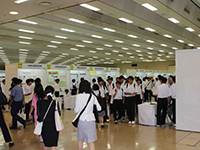 The 11th SSH Student Fair was held from August 6 to 7, 2014 in Yokohama. 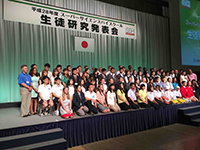 The biggest event of this kind in Japan could successfully be concluded, thanks to the great enthusiasm and contributions of more than 5,000 participants from 203 SSHs and 23 distinguished schools from 9 foreign countries and region, namely from China, Germany, India, Korea, Philippines, Singapore, Thailand, USA and Chinese Taipei. There could be very few chance for many Japanese high school students, especially those who live in countryside, to meet with foreign friends of their generation if they are not given this kind of special opportunity. I believe the meeting with their foreign counterparts in the event can be a great motivator for some of them to open their eyes and expand their sphere of thinking/activities beyond various borders. Hope the meeting with Japanese students who have the same interest would be useful and stimulus for some 50 students from overseas and their friendship cultivated through this event would last forever. We visited UTHM (Universiti Tun Hussein Onn Malaysia) on July 17, 2014. This was the first time for us to visit the campus and we had a very warm welcome from UTHM faculty members including deputy vice-chancellor, Dr. Wahid B. Razzaly. It was a sort of long trip from Singapore. We have been to Johor Bahru quite often because of UTM, another prestigious technology university of Malaysia, and we got used to going cross the border between Singapore and Malaysia. However, UTHM is about 60 km away from JB towards Malacca, one of the very historical towns in the nation, and it’s beyond just a short trip, I guess. After driving straight towards north-west on a highway, we finally reached to the university where was surrounded by palm tree plantations. 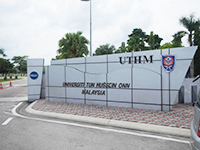 UTHM was established in 2000 after a former poly-tech school was entitled to be a university. Now the university is trying to distinguish itself from other universities. Its first attempt is to set-up a structural system of faculty for science and technology research and development: recently it launched four “Center of Excellence (CoE) ”and thirteen “Center of Research (CoR)” under the CoEs. Then there is about 50 research groups (they call them “focus group” under CoR are now in operation. In fact, this research system was set up in 2003. “We are very new to research but young researchers work very hard” said the deputy vice-chancellor. Now, the university has more than 1000 academic researchers and 350 principal researchers who got grants from domestically or internationally. That is a quite intentional HR investment for a short term as a newly established university. The deputy vice-chancellor hopes the university could expand its network with Japanese researchers by the support of JST like UTM has. He also mentioned, although the university has potentially strong research background, they still need to work on strengthening the collaboration between the university and industries. 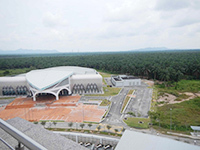 For example, UTHM will invite more than 100 industries in August and will try to ink at least 20 MoUs. During the meeting, at first, the faculty members of UTHM explained their recent activities and goals. Since they have 13 CoRs, interest topics are varied; from biotech to advanced electronics to any technology for sustainability. 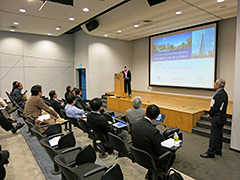 Some already established connections to Japanese universities such as Nagoya Institute of Technology and Nagaoka Universtiy of Technology. After the presentation done by the deputy vice-chancellor, Mr. Osamu KOBAYSHI, a director of JST Singapore office, presented JST’s principal functions including e-Asia and SATREPS. He especially spent more time on e-Asia part because its process is really complicated and hard to grasp at the first time. Next, Dr. Charles Ho from UTM presented its collaborative work with Japanese university in the name of SATREPS (Science and Technology Research Partnership for Sustainable Development). 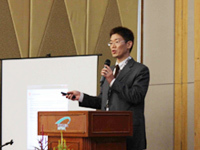 He is currently a project leader of one of 87 SATREPS projects; Development of Low Carbon Society Scenarios for Asian Regions. With a support of Iskandar Development Agency (IRDA), the project team designed a scenario for a low carbon society called “blue print”. 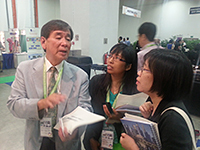 Dr. HO gave the audiences some tips on how his project was prepared and being proceeded. He also gave UTHM some advice on networking with a variety of organizations. The university is very young and might need to polish their focus and utilize their resources and infrastructure with maximum efficiency. I believe they already got sufficient researchers and just need to keep them with clear and passionate R&D strategy. Then JST will try to support the university in way of providing any resource we could access. 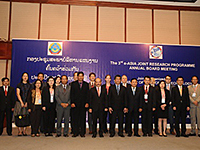 The third Annual Board Meeting of the e-ASIA Joint Research Program (hereinunder referred to as the “Program”) was held on the 10th & 11th of July 2014 in Vientiane, Lao People’s Democratic Republic (Lao PDR.). 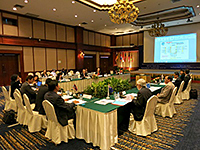 The Chair of the meeting was the Ministry of Science and Technology (MOST) of Lao PDR. 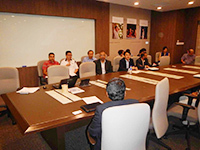 The meeting was attended by the representatives from nine of the thirteen Member Organizations. Participants have discussed principle issues such as IP management, Call for Proposals, etc to improve the Program. The minutes of the meeting will soon be posted on the Program website (http://www.the-easia.org/jrp/). Postphoned by the coup d'eta which looks not so serious for people living in Bangkok, we seek to open the new project office for the e-ASIA Secretariat at a NSTDA building in the Thailand Science Park (TSP), northern Bangkok. On 27th of June, I visited NSTDA in TSP to discuss when the secretariat could be moved. Unlike the news from TVs or papers, there were no military men and military vehicles visible during my stay from the airport through downtown. “The circumstance is better than before. No reasons not to open the office because of the junta”, both Thai people and many Japanese living in Bangkok said. As a matter of fact, Kyoto University opend its regional office to promote its globalization on 28th of July whose grand opening ceremony I was invited and participated despite this circumstances. 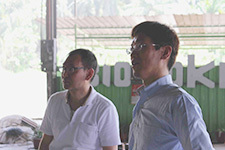 On 26th of June, I visited projects site of ”Innovation on Production and Automotive Utilization of Biofuels from Non-food Biomass Reducing CO2 Emissions with Vehicle Biofuel Made from Nonedible Vegetable Oil’ ( Principal Investigator Dr. YOSHIMURA Yuji, Advanced Industrial Science and Technology (AIST)) located in TISTR (Thailand Institute of Scientific and Technological Research), northern Bangkok, to learn what the merit of on-site cooperation is. According to a researcher from AIST, the on-site laboratory in overseas definitely makes substantive cooperation promote. Meanwhile, the cooperation will be more active and therefore much meaningful if the laboratory is financially supported by both sides. 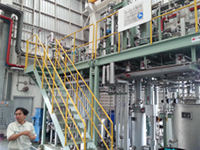 The biomass plant in the laboratory has been run by appropriate financial contribution from both Japan and Thailand. 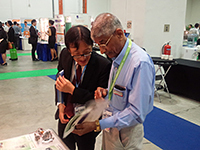 The 14th SCA, International Conference, 2014, “Future Earth: Research for Global Sustainability and a Holistic Understanding of Sustainable Development in Asia” was held on 18th and 19th of June, 2014 in Kuala Lumpur. 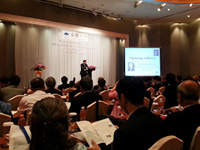 In this conference, the word of “urbanization” was highlighted as an important research area of this region to tackle. In Asia where most of “Mega Cities” of the world will concentrate, STI which can contribute to address various issues resulted from urbanization must be the key to realize sustainable development for the future earth. The issues are various, namely energy, housing, transportation, food, water, disaster reduction, infectious diseases and capacity building etc. 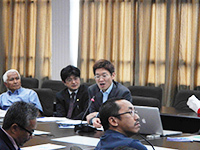 On the occasion of its annual assembly, Science Council Asia (SCA) hosted the “SCA Joint Project Workshops” where 3 on-going cooperative projects between Japan and Malaysia supported by SATREPS were introduced as followings. As a matter of fact, 47 out of 87 projects in SATREPS were and have been implemented in Asia region. As a responsible office of this region, JST Singapore was invited to moderate the session. On June 5th in Singapore. Main members of the Sri Lanka SATRREPS project entitled "Development of Pollution Control and Environmental Restoration Technologies of Waste Landfill Sites Taking into Account Geographical Characteristics in Sri Lanka" visited Nanyang Technological University (NTU). 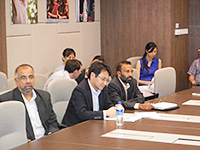 NTU recently opened a new research center for environment and water (NEWRI) called “CleanTech One” The executive director of NEWRI, Dr. Ng Wung Jern welcomed the researchers including Dr. Kawamoto from Saitama University and Dr. Gemunu Herath from Peradeniya University. At the half-day seminar held at CleanTech One, Dr. Gemunu explained the current situation of solid waste issue in Sri Lanka, and Dr. Kawamoto presented SATREPS project being held in the nation. The rest of guest speakers shared their latest research results with attendees. What is the SATREPS project? This SATREPS project is to develop site-specific pollution control and remediation techniques for waste disposal sites utilizing locally-available materials. There is a variety of technology is available in developed countries to control wastes. However, most of technologies are suitable to particular environment and very sophisticated to manipulate. Therefore it might be hard to import those technologies directly into developing countries. So the team believes that they’d better use any materials locally abandoned such as coconut husk or soil. In addition to the development of new techniques, the team also work on local government and all related governmental organizations to regulate waste management. Without governmental top-down control, there is no way to mitigate mountains of garbage. What is the biggest issue over waste lands? The research team’s biggest concern is leachate that is very polluted water coming out of dumping site. It contains heavy metal such as Cadmium and Lead and other chemicals. So they try to clean the liquid with a cheap and simple method. 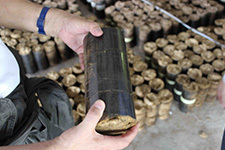 For example, one of the techniques being under development is to use coconut husk to filtrate heavy metals. The technique needs more research but if its function is proves, it would be a breakthrough for the favour of community in Sri Lanka. The world is paying attention to Asia as next drive force of the world economy. In fact, many of countries in the region are more or less showing rapid economy growth. On the other hand, there more social issues has emerged. “Waste problem is not a domestic issue in Sri Lanka; all Asian countries face the same issue” said Dr. Kawamoto. It is a very simple scenario; more people get up the social ladder, the more waste will be created unless nations and people intend to control waste. That scenario, of course, can be applied to Singapore where is well-known as a “clean” country. Because is limited land size, Singapore are facing a critical issue: how do they manage increasing amount of waste? That is why NEWRI has been interested in waste management. They want to listen to how other neighbourhood countries try to solve the matter. I hope this meeting will be the first step for countries tackle together for mutual issues. 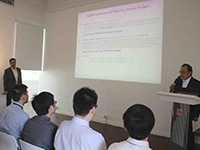 This is the first time that any SATREPS project team held a seminar in Singapore. I would like to bring more teams to Singapore to share their knowledge for future emerging projects. 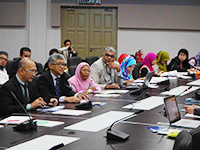 University President Forum (UPF) 2014 was held by University Technology Malaysia (UTM) at Johor Bahru, Malaysia. About 30 universities from 15 countries participated in the forum including universities in Japan such as Tsukuba, Tokyo University of Agriculture and Technology and Shibaura Institute of Technology etc. 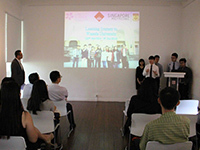 JST Singapore Office made a presentation as an only presenter from non-university status. As a key agency which has been developing lots of collaborative projects between Japan and countries in Asia, various funding programs such as e-ASIA JRP and SATREPS were introduced to the participants from all over the world. Members of the SATREPS projects in Peru and Chile organized the International Symposium on Earthquake and Tsunami Disaster Mitigation in Latin America, and invited disaster management researchers from Colombia, Ecuador, Mexico, El Salvador and Nicaragua to join them. ©2013 JST Singapore Office. All Rights Reserved.